Oslo/Paris, 2 November 2017: Marlink has migrated Aker BioMarine’s Antarctic krill harvester fleet support ship, La Manche, to Inmarsat’s Fleet Xpress service. The system provides a significant boost to crew communication facilities on board as well as enables vessels to benefit from improved business intelligence and remote access to the vessel’s IT network. The service uses the XChange Universal Remote Access (URA) solution, one of Marlink’s many Value Added Services available on Fleet Xpress. Fleet Xpress has transformed our communication capabilities aboard La Manche. Reports from crew and captain are positive, with speed and availability highlighted as the biggest improvements, said David Cheyette, IT Consultant for Aker BioMarine. 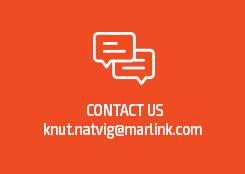 Our experience with Sealink C-band VSAT on the Krill harvester fleet made Marlink the obvious partner for the La Manche upgrade and the Marlink team has once again provided a high quality of service from installation through to daily operations. Having access to Marlink’s portfolio of Value Added Services over Fleet Xpress was also attractive for us and has already paid dividends, especially in the context of La Manche’s IT network management. Fleet Xpress is an essential part of our multi-band portfolio, providing more choice for our customers to use the services that fit their operational requirements best, said Tore Morten Olsen, President Maritime, Marlink. Integrating our Value Added Services and the XChange system with Fleet Xpress allows us to offer even more flexibility in our already extensive technology and frequency agnostic portfolio. Fleet Xpress is more than just a satcoms service, comments Ronald Spithout, President, Inmarsat Maritime. 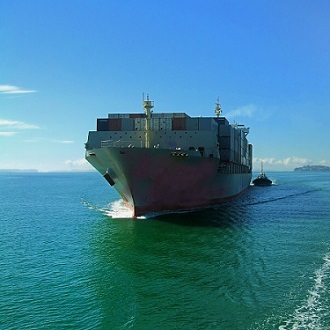 “Fleet Xpress not only enables operators and owners to gain valuable intelligence about the performance of their vessel, but it also meets the connectivity needs of the modern seafarer, offering better communications with the outside world to enhance well-being, performance and crew retention rates. We’re excited that through our strategic partner Marlink, Aker BioMarine has chosen Fleet Xpress.